This entry was posted in Daily Random Panel. Bookmark the permalink. Ahhh, Detroit, the only thing in existance that would look better after a nuclear war. [Reality Check:] Pittsburgh IS under martial law. 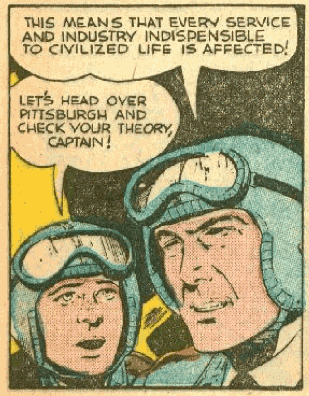 Why just read the comics when you can see … CAPTAIN VIDEO AND HIS VIDEO RACERS in video? Brought to you by those swell tasting candy bars Powerhouse.